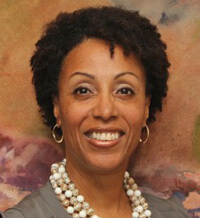 Carla Gullatt is Deputy Director and co-founder of the National Collaborative for Health Equity. In this role, she oversees the National Collaborative’s budget, staff, and operations, and assists in the development and implementation of the organization’s strategic plan. Ms. Gullatt is a 20-year veteran of non-profit development and project management. Her experience includes project design and implementation, organizational development, fundraising, events management, and budget development. Prior to joining the National Collaborative for Health Equity, Ms. Gullatt served as the Director of Operations and Outreach for the Joint Center for Political & Economic Studies, Health Policy Institute for more than eleven years. In this role Ms. Gullatt managed the day to day activities of the organization, internal and external relations and administrative operations, and assisted in strategic planning, program design and implementation, and other necessary functions. Ms. Gullatt received her Bachelor’s Degree from California State University at Sacramento in 1986.